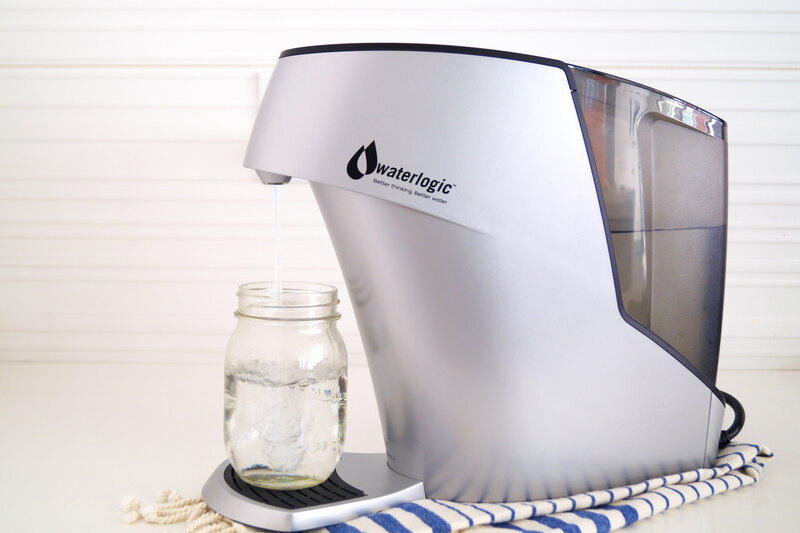 Have you ever wondered what the difference is between tap water versus filtered water? Is it really necessary to filter our water and if we’re going to, what should we use? I’m covering this topic in my latest article with Inspired Home. How many times have you been reminded that you need to drink more water? The truth is, how much water we need varies from person to person depending on diet and lifestyle. The most common reason I hear for not consuming enough water is that it gets boring! That’s why I love recommending sparkling water and fruit infused water to help increase water consumption without added calories or chemicals. The human body is made up of about 60% water. Digestion, nutrient absorption, blood circulation, and body temperature are all vital functions that need water to happen. Our bodies lose water constantly, from evaporation, breathing and going the bathroom. Drinking water helps us feel full and it’s a known fact that people often think that are hungry when really they are thirsty! 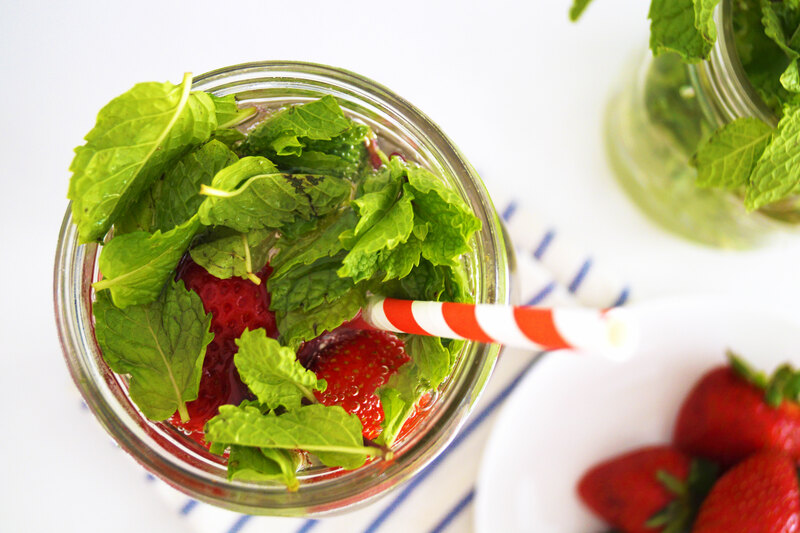 Next time you are craving an afternoon treat, try reaching for 16-ounces of cold water instead. In addition to helping us feel full and energized, water helps our kidneys filter out toxins and maintain our skin’s natural glow. My personal favorite benefit of drinking water is its’ role in maintaining regular bowel functions. When you do not drink enough water, your body will pull water from your stool to maintain proper hydration, and this can lead to constipation. The vast majority of the tap water in first world countries is safe to drink in that it will not make you immediately sick. However, tap water still can contain undesirables such as: chlorine, trihalomethanes, various hormones, pesticides and in larger cities, even some prescription drugs. Rural area drinking water is often exposed to poorly regulated industrial activities which can contaminate that pure drinking water. This is not to say that all tap water is unclean or will give you long term negative health effects, but I always suggest taking the most proactive and conservative approach when it comes to your health, and for that reason I recommend filtered water! 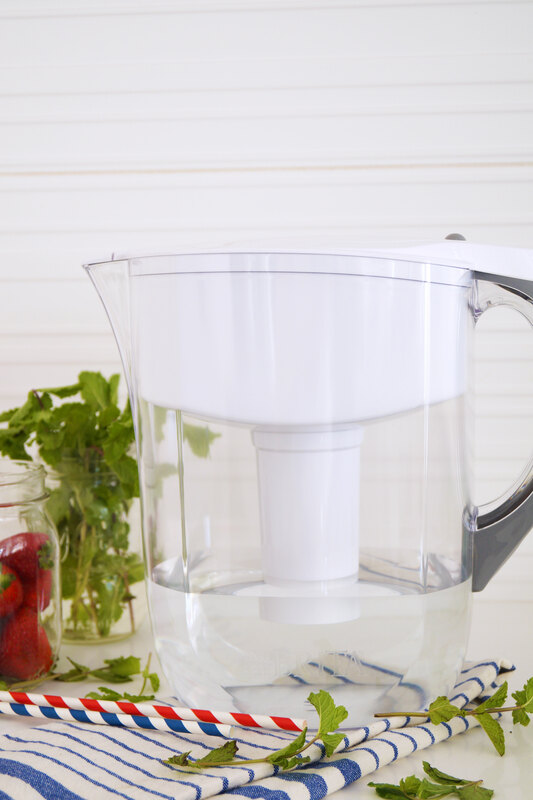 I share more about my go-to water filters, Brita and Hybrid from WaterLogic, and a refreshing Strawberry Mint Infused Sparkling Water (filtered of course!) over at Inspired Home.